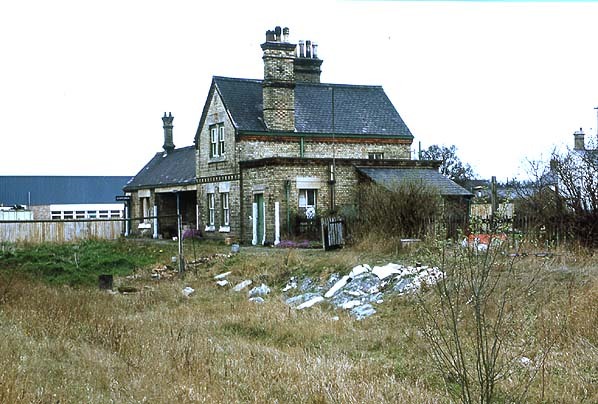 Notes: Gamlingay Station has a goods yard on the down side of the line consisting of three sidings, cattle pens and a substantial goods shed. The Bedford & Cambridge Railway Bill was put before parliament in 1860 and despite objections from the Eastern Counties Railway the Bill received the Royal Assent on 6th August. As part of the Act, the new Bedford & Cambridgeshire Railway bought out the Sandy & Potton Railway which had opened in 1857 from Sandy to a terminus on Biggleswade Road, Potton. Work on the line began in April 1861 with the short lived Sandy & Potton Railway closing in December 1861. Much of the route was re-laid and Potton Station was resited close by. The first train containing directors and shareholders of the company departed from Bedford at 9.04 on 4th July 1862, arriving at Cambridge at 1.30 pm. Three days later the line was officially opened for goods traffic and to passengers on 1st August, finally linking the two university cities of Oxford and Cambridge. The Bletchley to Bedford line had opened in 1846 and the opening of the Bedford to Cambridge line provided an important cross country link between Oxford and Cambridge forming one of the few east-west routes, with the capability of reaching the east coast ports. Most services however ran from Oxford to Bletchley and from Bletchley to Cambridge. Intermediate stations were built at Blunham, Potton, Gamlingay, Old North Road & Lords Bridge and a bay was provided at the recently rebuilt Cambridge Station to accommodate the Oxford and Bedford trains. At Sandy the trains from Bedford crossed over the Great Northern line on a lattice bridge running down into the new station which was located alongside the Great Northern station. 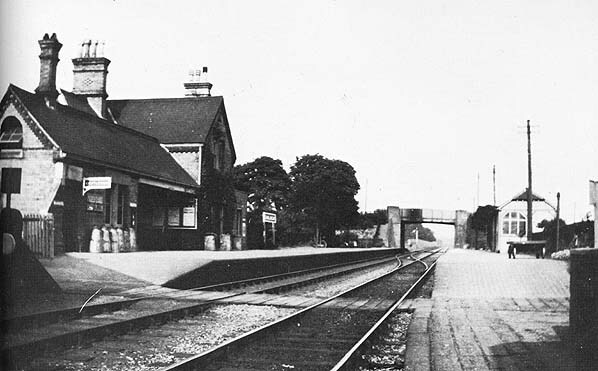 A new station at Willington was added in 1906 and in 1938 a new halt was opened at Girtford between Blunham & Sandy; this was short lived however closing two years later. In 1955 The Railway Modernisation Plan proposed improvements in cross country facilities between Oxford and Cambridge with the aim of maintaining a link between the major main line railways outside the congested Greater London area thereby allowing freight traffic to be transferred between three railway regions and easing the burden on London marshaling yards. Within a few years the policy changed and the line was not upgraded with the Bletchley flyover remaining as a monument to the fruitless proposal. An attempt was made to close the Oxford - Bletchley - Cambridge line in 1959 but local pressure succeeded in winning a reprieve. There was some relief when Dr. Beeching did not include the cross country Oxford to Cambridge line in his closure proposals in 1963 but just one year later, the British Railways Board published closure plans for the whole route. The introduction of new diesel trains in the 1960's allowed British Railways to run much faster trains and the need for a cross country service declined as passengers found it quicker to travel from Oxford to Cambridge via London. 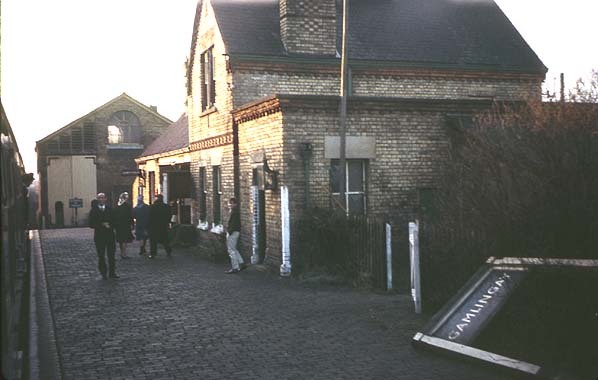 The line closed after the last day of service on 30th December 1967 although the section between Bletchley and Bedford remained open. Track lifting of the Bedford - Cambridge Line began on 13th August 1968. Track was left in place between Potton and Gamlingay pending negotiations for preservation by the Sandy & Potton Steam Railway Society. Unfortunately the Society was unable to raise sufficient funds and the 5.25 miles of track was eventually lifted. One section of the bed between Lords Bridge Station and the junction with the GER has become the site of a very long radio telescope belonging to the Mullard Radio Astronomy Observatory (Part of Cambridge University). The long level straight stretch of line was ideal for this telescope which is rail mounted, the track has however been re-laid and the gauge is now about 20 feet! Gamlingay Station in March 1976 - note the 'Gentleman' sign is still in place.